Managers are becoming increasingly aware of the fact that online automation can achieve huge efficiencies for business. When we say business functions, we mean anything from accounting, sales, CRM, email marketing, booking, database management, and information management. But by automating these areas of work, you can achieve huge cost and time savings. We also want you to increase efficiencies for your business. Are you using programs like MYOB, Xero, Mailchimp and Salesforce? Chances are that they can integrate with your existing website. So let us make your life easier by syncing your business applications. 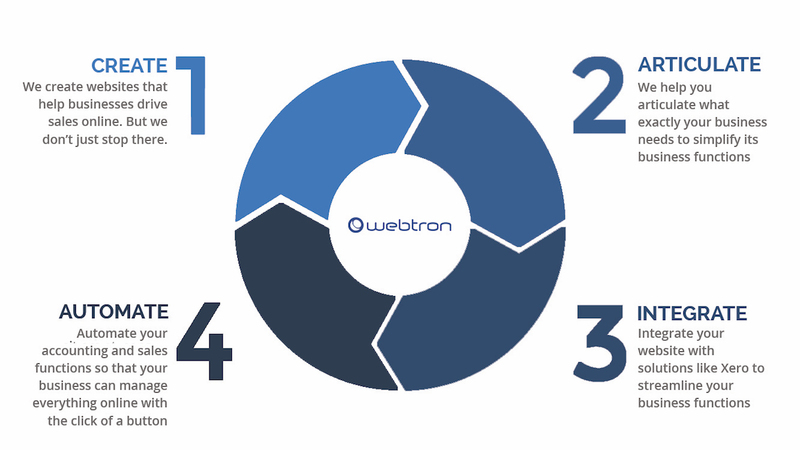 Through cloud integration and automation, Webtron will streamline business processes and drive down costs incurred to your business. Call Webtron on 1300 932 876 to learn more or contact us today.